Absolutely fabulous! : Thank you Hazel Bishop! Hazel Bishop invented the first long lasting lipstick in the 40s. Bishop worked as chemical, during the day, designing fuels for airplanes that operated in high altitudes. But, at night, she was a make-up scientist, in a manner of speaking. Using her chemistry knowledge, she spent hours and hours in the kitchen of her mother mixing diverse prescriptions of lipstick. 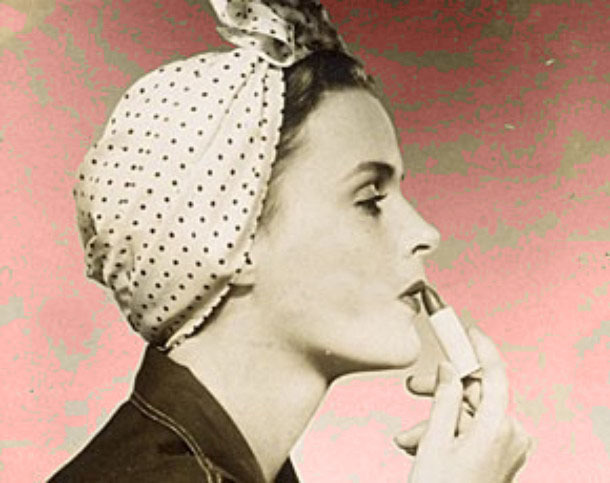 In 1950, the fruits of its effort had been placed for sale by US$ the 1 pipe - she finalhy had finished to invent the first “lipstick to kiss proof ”, a product that would be in the lips does not matter how many kisses, cigarettes or glasses of wine passed for the lips of the user. 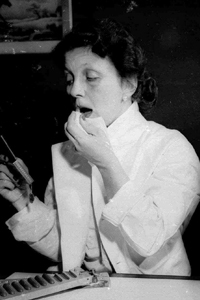 The product contained pigments that gave color to the lips.